CURE Foundation – National Denim Day – Wear a Pair, Save a Pair! The Team at VanDusen Chevrolet Buick GMC is proud to support the CURE Foundation in their mission to raise breast cancer awareness among Canadians and in their fight against breast cancer. On May 10, 2016, we held a barbeque coinciding with National Denim Day. Thanks to our Service Manager, Mike Flanagan, and Parts Manager, Cam Banner, for handling all the details, preparation and cooking that go into feeding a dealership and customers. Staff was encouraged to wear jeans, and enjoy a casual day at the office with a picnic feeling. Customers were also invited to take part in the barbeque and participate. It was great to see all of our staff in Jeans! And support a great cause at the same time. National Denim Day began in May 1997, and is the main fundraiser for the CURE Foundation. This annual event is held on the Tuesday following Mother’s Day. 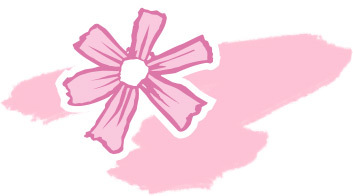 Employees are encouraged to wear denim and receive the CURE’s pink flower ribbon in exchange for a suggested $5 donation. We also held a 50/50 draw and sold tickets to raise additional funds. To their credit, our customers not only participated and enjoyed the food, but many also donated to the cause.The entire Team at VanDusen Chevrolet Buick GMC was able to raise a total of $690. It felt good to wear a comfortable pair of jeans to work for a day, but most important, it felt good to help. Please help us in raising breast cancer awareness and fighting against breast cancer. Visit the CURE Foundation website (http://www.curefoundation.com/), for further information and to donate. WEARING JEANS HAS NEVER BEEN SO IMPORTANT!